Based in the Illawarra, Aceit Sportswear have been a staple of Australian Rules Football on the South Coast for many years. Aceit Sportswear have over 25 years’ experience delivering to clients in Sydney, the Illawarra, Australia and around the globe and supplies branded uniforms and merchandise for any Work, Sport, and Promo needs. Project Dry Hire came on board as a sponsor of the inaugural Illawarra Youth Girls competitions in 2018 and this relationship will continue this year with the three competitions to be known as the Illawarra Juniors ‘Project Dry Hire’ Youth Girls competitions. Project Dry Hire’s support will again directly benefit new females to the game by supporting the league initiative to waive affiliation and insurance fee’s for these new players to our game. 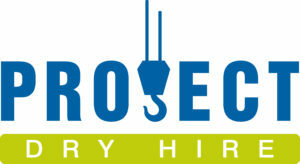 Project Dry Hire is an innovative, multi-faceted business specialising in Cranes and Material Movement Equipment. While this business may not seem a natural fit for Youth Girls football, Project Dry Hire has strong values around Inclusion, Opportunity and giving back to the community that they are involved in and on this basis has found a good partner in the AFL movement. 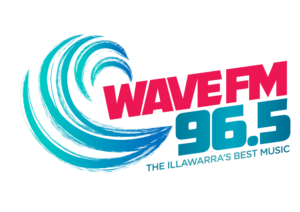 Broadcasting since the 1930’s, Wave FMis a staple of the region for many years, with its studio in Warrawong and broadcast across the Wollongong and South Coast region and is the home of “Illawarra Best Music”. Wave FM broadcast on 96.5 FM and covers from Helensburgh in the north, all the way down to Ulladulla in the south and Bowral to the west. Wave FM has local news readers and announcers including Jade, Straney and Trav for the breakfast shift, providing local, national and international content 7 days a week. The reach and reliability of Wave FM provides a great opportunity to further promote Australian Rules Football within the Illawarra and South Coast region and we are excited about the opportunities this partnership will provide.